AYAYA MUSIC: Sido B X Terry Apala – Ikorodu (Prod. By LXE) #BeHeardBeSeen - AYAYAMEDIA - Be Heard Be Seen ! 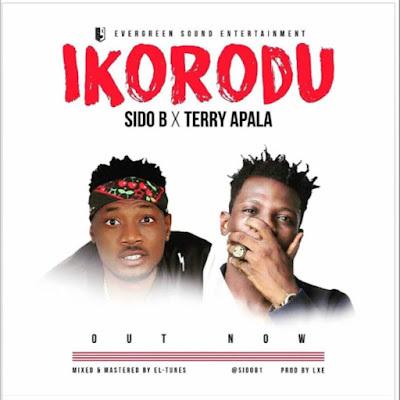 Brand New Single From “Sido B” Featuring the Isoko Master Popularly Known as “Terry Apala” Titled “Ikorodu”which was produced by LXE, a song that appreciate the town of Ikorodu despite all the crises going all over the town. I’m using this medium to appreciate the Governor of Lagos state Dr Akinwunmi Ambode and the King of Ikorodu and Oba kabiru adewale Shotobi.